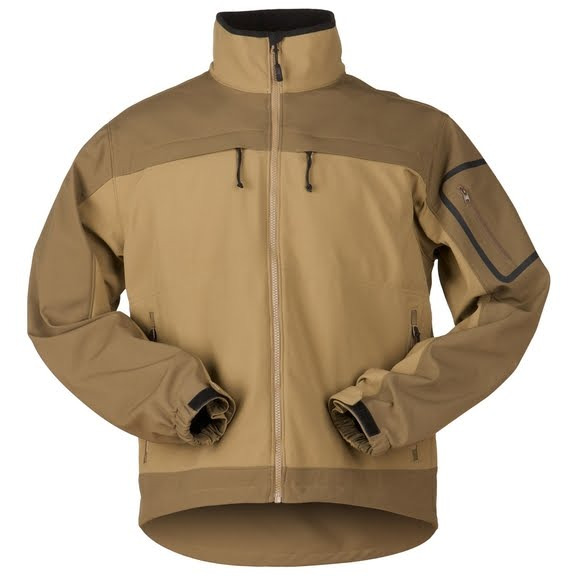 A lightweight alternative to the popular 5.11 Tactical Sabre 2.0 Jacket, their Chameleon Softshell Jacket combines superior utility and comfort with a stylish, covert design. A lightweight alternative to the popular 5.11 Tactical Sabre 2.0 Jacket, their Chameleon Softshell Jacket combines superior utility and comfort with a stylish, covert design. Built from high performance polyester bonded softshell for excellent protection against wind and precipitation, the Chameleon Softshell Jacket incorporates a lightweight mesh liner that offers enhanced breathability while remaining warm and comfortable in cold weather. Dual handwarmer pockets, a utility pocket at the left sleeve, and three hidden internal pockets offer ample space for accessories, while three zip-out ID panels let you go from covert to overt in seconds. Elasticized hook and loop storm cuffs and a drop tail design keep you warm and dry in any climate.